RAKSA iDet Selective RF Detector can be used to detect and locate in near field a wide..
Wireless Bugs Detector : Spy cameras, listening devices, GPS trackers. It has a many ways to select the type of mode that you want. You can have a sound mode, vibration mode, acoustic mode, guard mode, and silent mode.It also has a headphone port so that you can detect spy equipment anywhere and can adjust the volume with ease. you can adjust the sensitivity on it to make it heavier or lighter. It has a 10m working range. 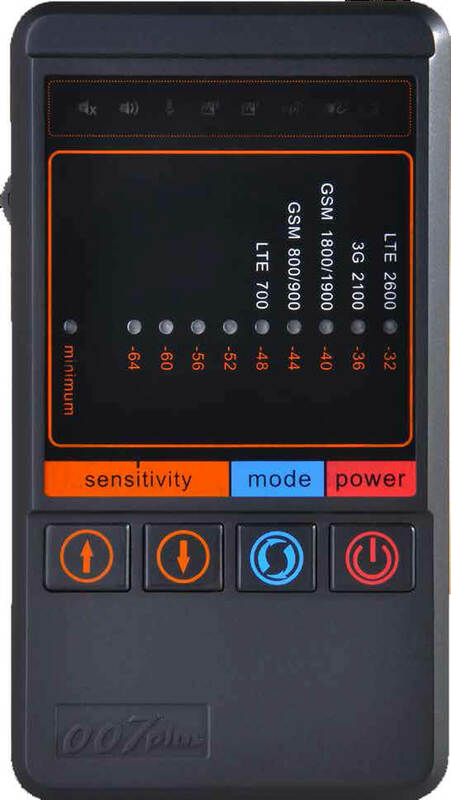 it detects GSM 900 - CDMA 850 - GSM 1800 - 3 G 2100 and 4G. it is extremely effective counter surveillance software. You would never expect to find a camera in work or in a bathroom somewhere and it is very easily hidden with a spy camera. That's why you need a bug detector to find the spy cameras. 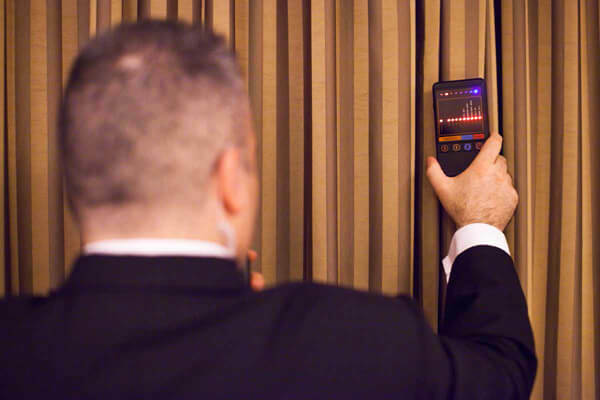 It is also a wireless tap detector with 10 levels of LED lights blinking to alarm you of hidden software. It is a very lightweight and Tiny and includes every type of device you need to get started finding hidden bugs. 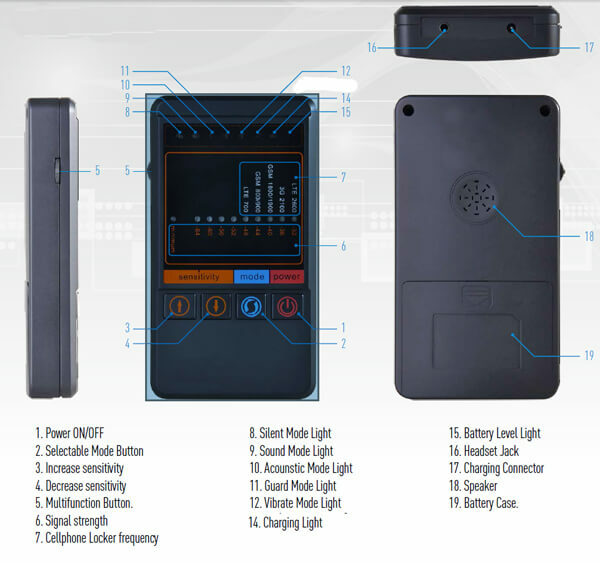 The wireless radio frequency signal detector is used to send the video and sound through the device with electromagnetic wave technology. It is made to find the radio frequency signal and get the location of the Hidden bug device. It's very easy to control anyone can do it with a simple click of a button and a very bright LED screen. This makes it a lot more simple for anyone to utilize. Welcome to the highly effective .Spy Camera and Detector of Hidden Bugs and Wireless Mobile Phone Finder Device Sweeper.It is part of our 4G professional series. the technology has gotten so much better in the last few years that using radio frequency signal technology is also being used more often. High precisely to locate the wireless signal source. RAKSA iDet Selective RF Detector can be used to detect and locate in near field a wide variety of radio transmitters used for secret access to information. RAKSA iDet Selective RF Detectoris ef..